The annual periodical of the Swansea Scientific Society that mainly published scientific, archaeological and historical articles. No issues were published between 1882 and 1885. 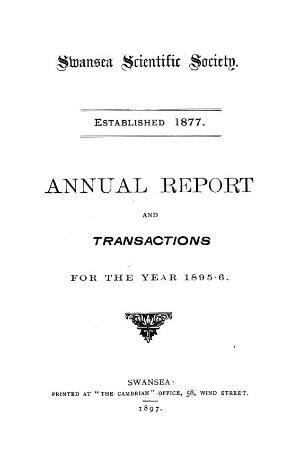 Associated titles: Swansea Geological Society Annual Report and Transactions (1878).